“the 10th of February. A Piano concerto. Accompaniment. 2 violins, 2 violas, 1 flute, 2 oboes, 2 bassoons, 2 horns, 2 clarinets, timpani and bass”. 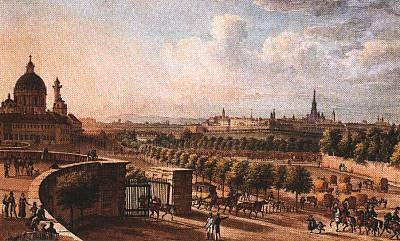 It is Mozart’s entry in his hand-written catalogue of works, on a Thursday the 10th of a cold, harsh February, in Vienna. Two lines announcing the birth of one of the most beautiful musical creations humanity has ever known: The D Minor Piano Concerto. To turn the pages of Mozart’s Thematic Catalogue is pure emotion! 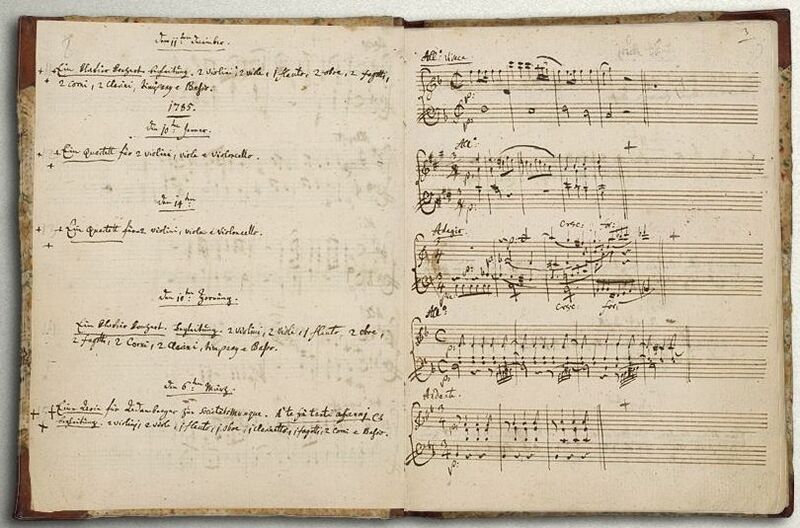 The manuscript is Mozart’s record of his compositions in the last seven years of his life. Thanks to The British Library, we can feel this emotion, even without touching the precious paper. 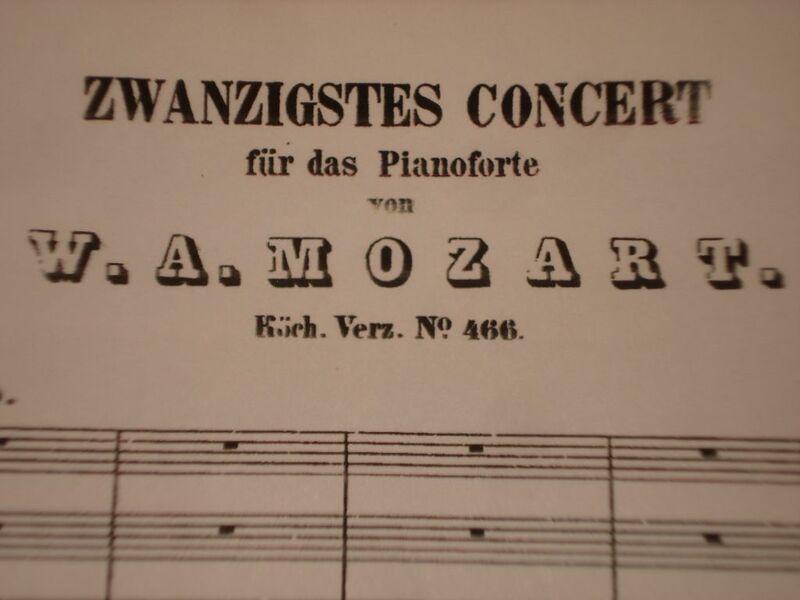 “Mozart wrote the Piano Concertos K.466 and 467 for his own use during the 1785 Lenten season, a period of hectic concert activity. He began K.466 during the third week of January, immediately after he had completed the String Quartets in A major, K.464, and C major (the so-called “Dissonant” or “Dissonance” Quartet), K.465, the last of the six quartets later dedicated to Franz Joseph Haydn. 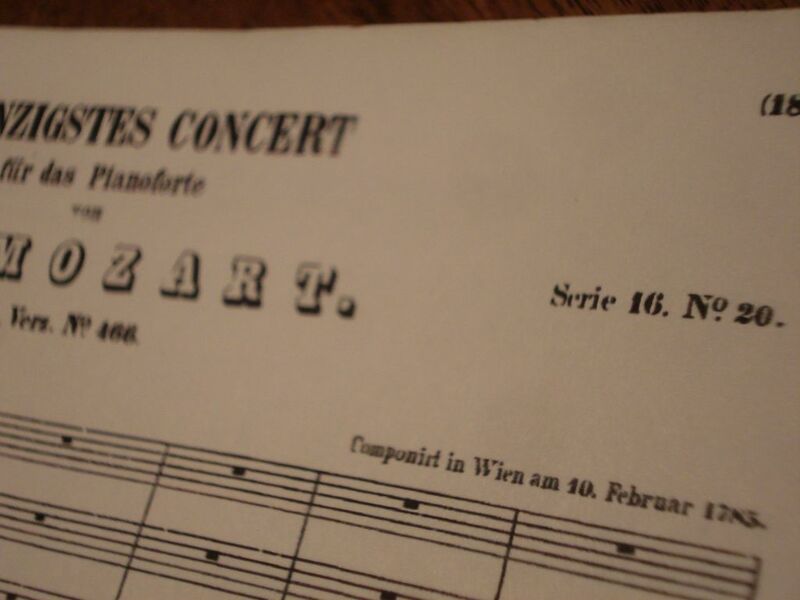 The D-minor Concerto, K.466, was completed on 10 February, the day before its premiere, which was given at the first in a series of six weekly concerts that Mozart was presenting at the Mehlgrube on successive Friday nights. So many years years have passed since the Birth Day of The D Minor Concerto… Its beauty will last as long as the idea of humanity will. Advocate Peter Gutmann, on Classical Notes, writes about the 20th Concerto. “A piece”, he calls his work, “an essay of the heart”, I would call it. With the generous permission he himself expresses, I will end my post with excerpts from his Classical Note on the 20th Concerto. The impulse for Mozart to have created the 20th is curious indeed and perhaps forever beyond our knowledge. 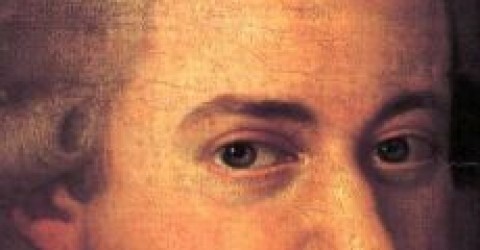 While it is tempting to relate it to a newfound maturity or dark events in his life, biographers caution that such efforts are deceptive – Mozart wrote many of his most upbeat works at times of depression and searching ones during periods of contentment. Indeed, he often wrote his piano concerti in pairs and the very next one, # 21 in C Major, K. 467, given only weeks later, is among his most delicate and affirmative. (…) In any event, Arthur Hutchins warns that since we don’t know how long a given work gestated before it appeared, a precise set of stimuli is impossible to trace. Alone among the Mozart concertos, the 20th cast a strong and lasting influence. Veinus notes that it served as a springboard for the turbulence of Beethoven’s capitulation to the tragic muse which, in turn, revolutionized serious music as we know it and paved the way to the music of the next century. Indeed, it comes as no surprise that Beethoven played the work, going so far as to write out his own cadenzas which, as reflections of his own overpowering personality, exploit the dramatic implications of the material at the expense of its inherent elegance and occasional charm, bearing less stylistic similarity to the cadenzas Mozart left us for other of his concerti, which tended to be bright and often a brief fantasy built on a subsidiary theme. 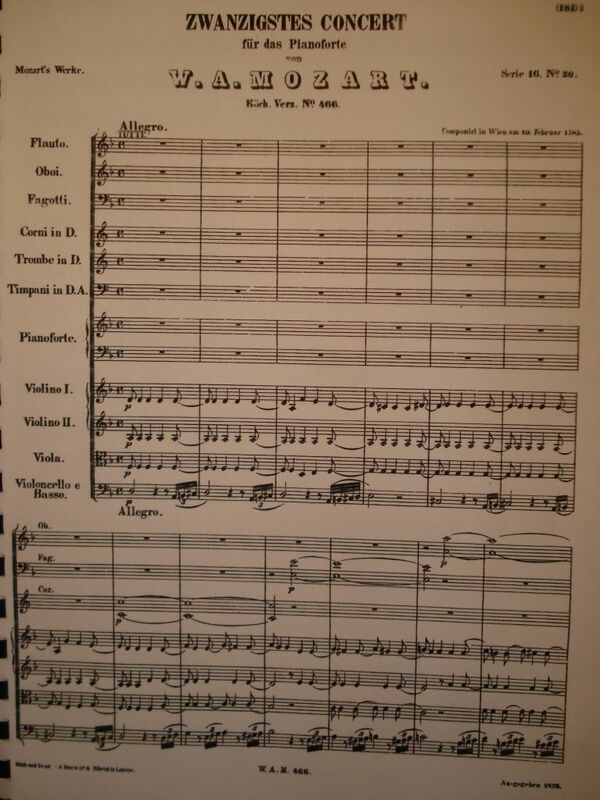 Mozart never wrote out cadenzas for this work, as he had for his nine prior concerti, for a simple and practical reason – preparations for the February 11, 1785 premiere were so rushed that the copyist was still working on the orchestral parts as the audience arrived, and so Mozart improvised on the spot. (Nor did he get a chance to rehearse the rondo, so even with the usual allowances for first performances of unfamiliar music, this one must have been especially rough.) 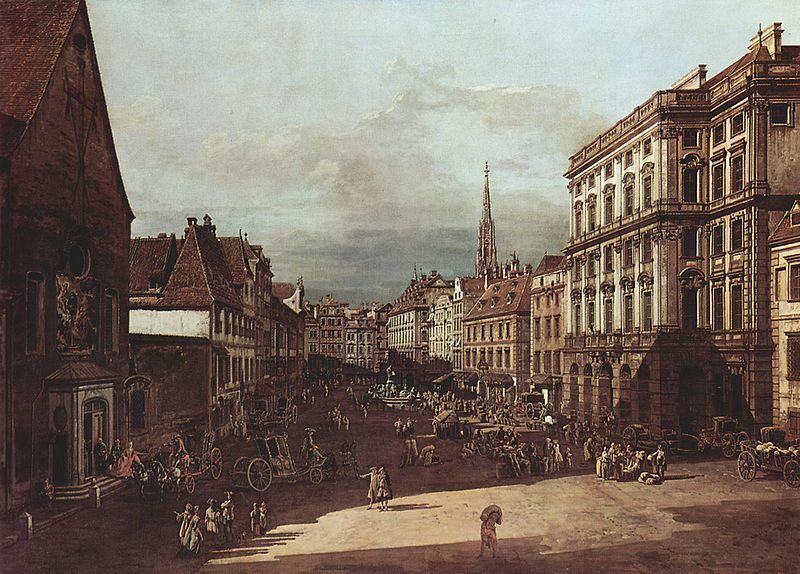 As most concerts of the time boasted new work, and as this one was an academie – part of a subscription series in which Mozart introduced his music to well-heeled patrons – Mozart may have never performed the 20th again but merely moved on to introduce other concerti in subsequent concerts. Indeed, John Culshaw has suggested that the thinness of the solo part in the andante is deceptive, as it may not reflect the full piano role that Mozart had intended and actually played, but rather is a mere outline that he planned to flesh out during the performance and never bothered to complete. Even so, we know that at least one member of the audience was hugely impressed – the next day, Joseph Haydn, the most respected musician of the time, proclaimed Mozart to be the greatest composer he knew. Mozart was widely considered the greatest pianist of his time. How did he play his own work? 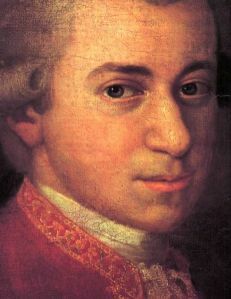 While others’ descriptions often are partisan, vague and of varying reliability, fortunately Mozart left us copious correspondence in which he freely praised and disparaged his colleagues and thus provides a remarkably full portrait of his own ideals, which presumably he followed when performing himself. (After all, he wrote nearly all of his piano pieces for the purpose of personal performance, and so clearly they suit his own aesthetic intentions and exhibit his own strengths and inclinations.) 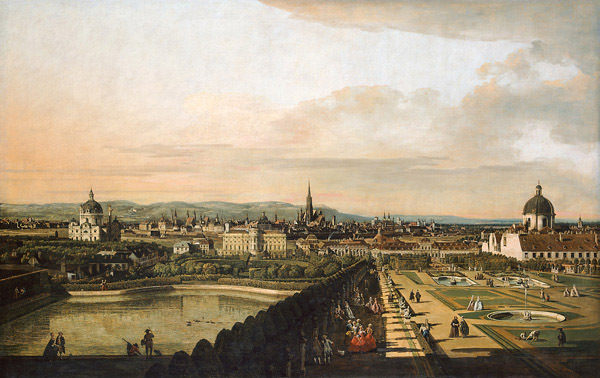 As catalogued by Harold Schonberg, Mozart straddled and served as a transition between the rigid mechanics and florid ornamentation of his Baroque forebears and the expressive freedom and permissive inflection of the Romantic age that was to follow. While he insisted upon technical accuracy and precision, he had no tolerance for virtuosity unless it was to be applied with moderation and taste and placed at the service of the music. Yet, the result was not to be dry or mechanical, nor slavish adherence to the written score, as Mozart was known for liberally embellishing his own work during performances as a famed improviser. He sat at the center of the keyboard and maintained a calm demeanor without facial gestures. Tempos were to be strictly maintained, with no speed or slowing for emphasis or variation in repeated sections. All legato was to be in the right hand, and then temperate and regulated, so the notes “flowed like oil” without distending the basic pulse. Each extended note was to be held for its full value, without emphatic clipping. 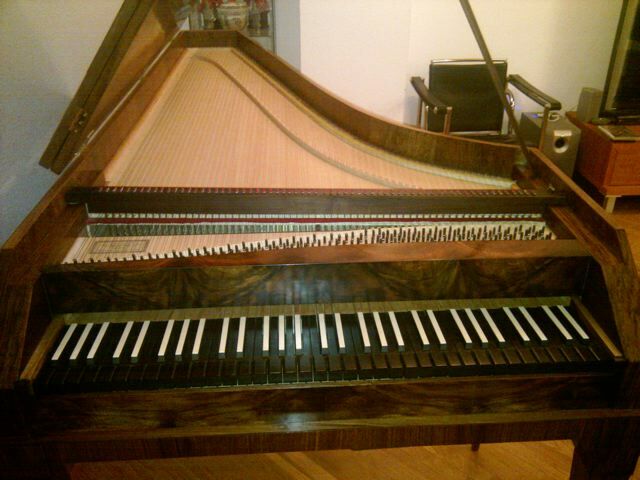 A fortepiano after Walter, wonderfully crafted in our time! 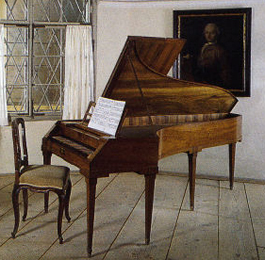 Visit the site of harpsichord maker Keith Hill, to see a Walter fortepiano similar to the one on which Mozart composed and played. 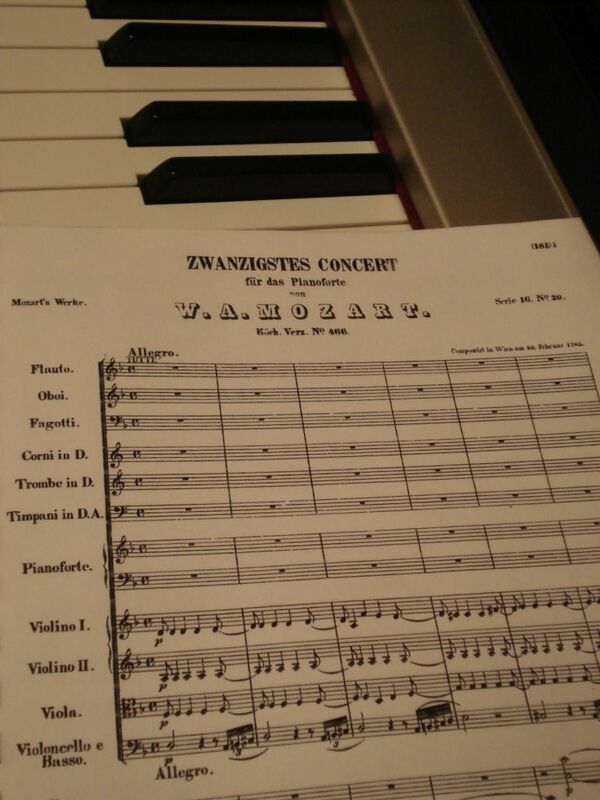 Or click here for a sound sample of one of Keith Hill’s Walter fortepianos in a Mozart Piano Concerto, played by Robert Hill with orchestra. other images from the internet, assumed to be in the public domain.